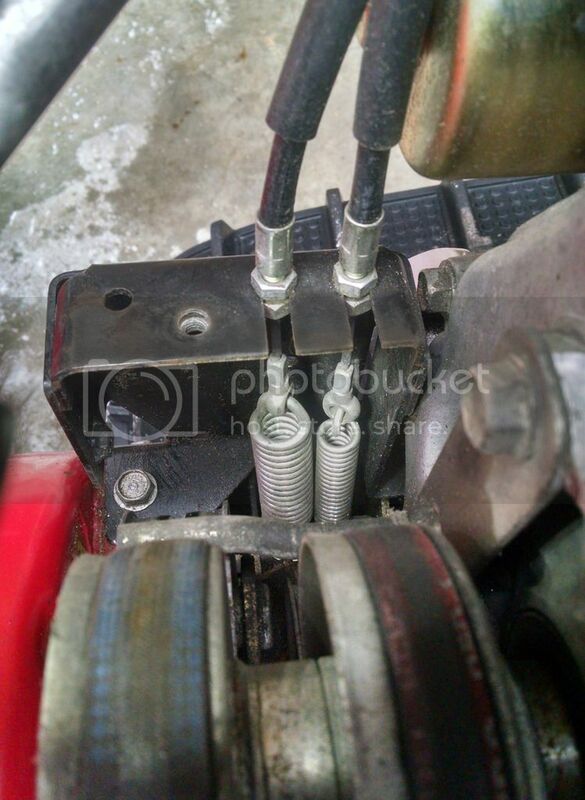 Snowblower Forum : Snow Blower Forums > Snowblower Brand Forums > Honda Snowblowers > Stuck on hs828 auger spring replacement. pictures included. Stuck on hs828 auger spring replacement. pictures included. broken auger spring and also would not go forward or back. drive belt was almost torn up so got new belt and new auger spring. matched up springs to make sure right one. 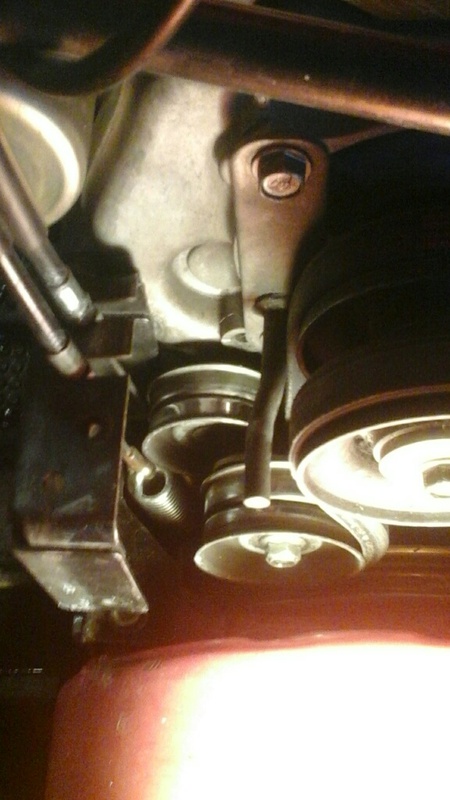 split machine apart, installed spring according to factory manual pictures. 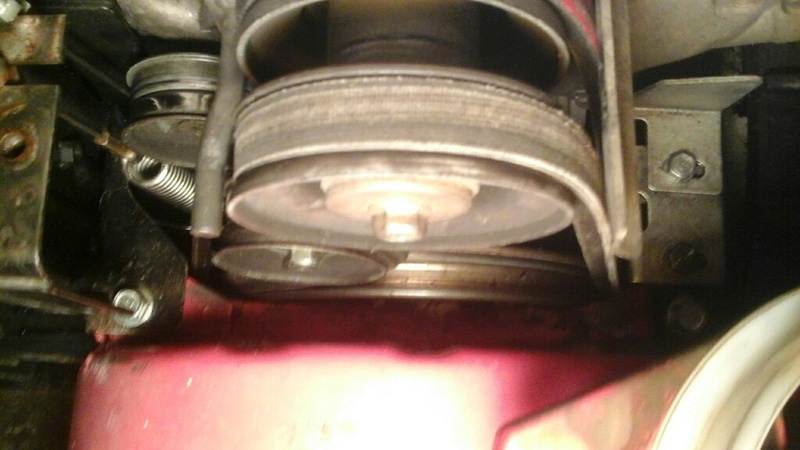 installed drive belt no problem. problem I am having that I don't have enough tension with auger cable. have to have lever halfway down to keep tension so spring does not fall off. if i put the lever all the way up then it is way too loose and the spring falls off. I had to take box off twice. this may seem dumb but can't figure it out. i tried adjusting the cable a couple times and even adjusted out it is too loose. either i ankored the bottom of the spring in the wrong hole ( i don't think so ) or something else obvious. have included a couple pics. have replaced belts and a impeller bearing in the past so this is my only 4th time splitting a machine. before putting the box back on I tested the new drive belt and moved forward and backward. and I checked the auger lever and clutch brake. It seemed fine with tension on spring through range of motion. 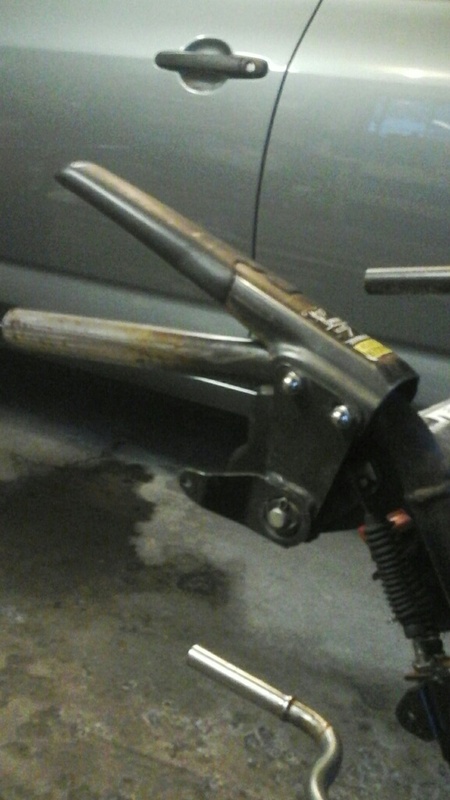 i clamped the auger lever down when replacing the box . 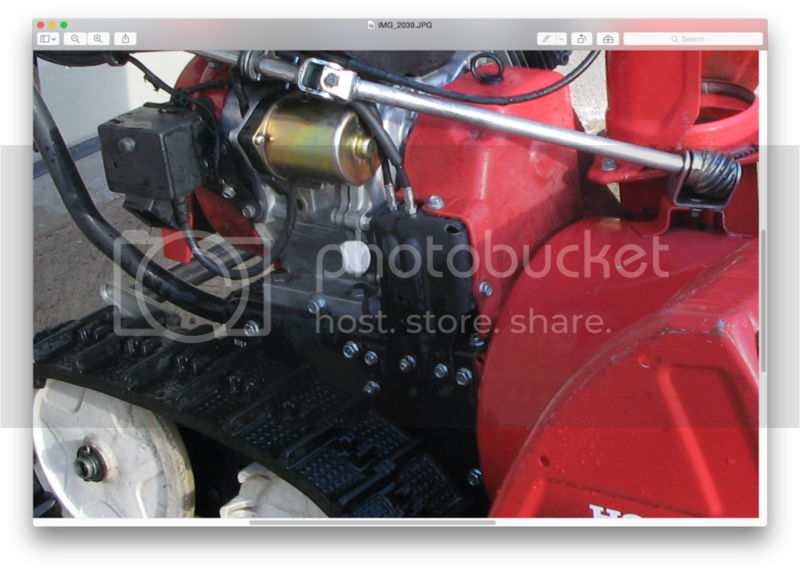 Could something jam up the auger clutch leverso it won't move through it's whole range? the pics show the new spring and pulleys. I know the pics are not that good but what do you all think i am doing wrong? anyone else have a similar problem and fixed it? 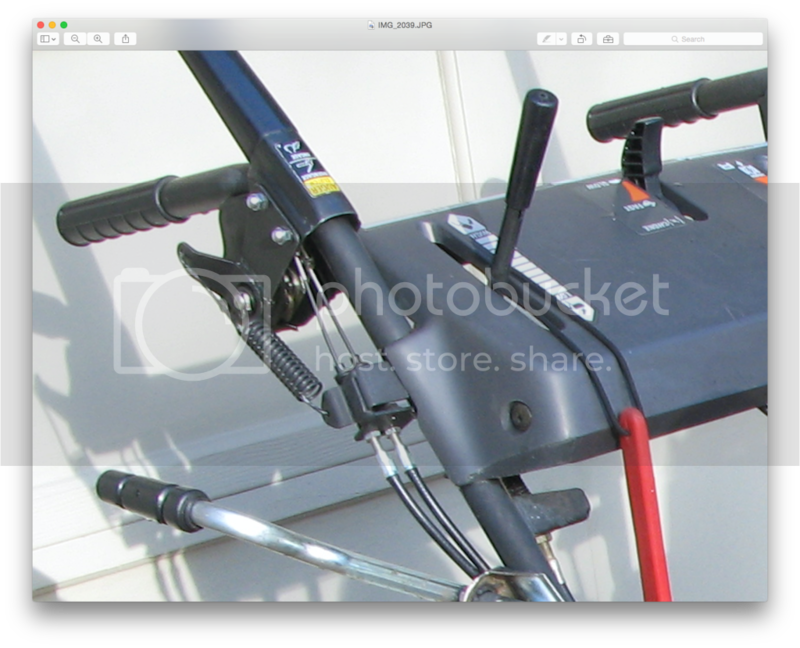 First thing that I see is that the locking nut is supposed to be on top of the cable holder (red ellipse). 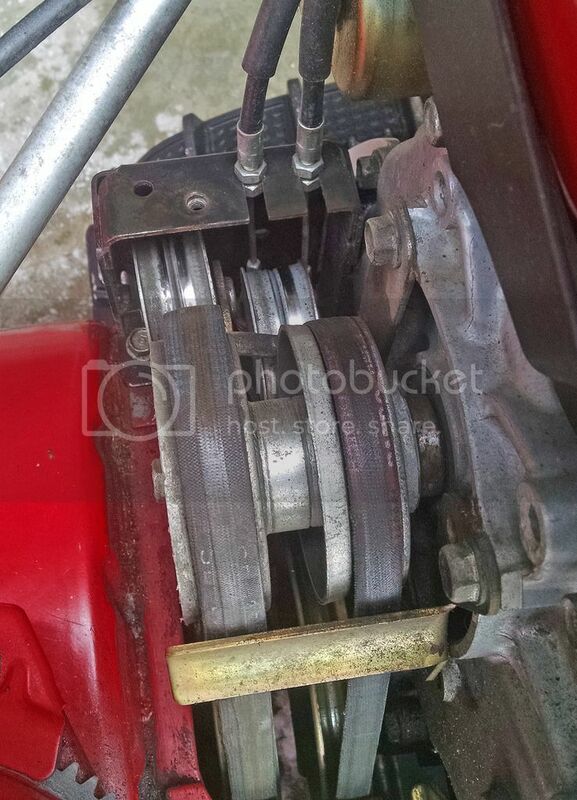 I also noticed that the spring at the auger clutch handle is missing and I'm not sure if you took it off or not. It needs to be there. Later I can take some photos of mine under the cover if need be. Here's two shots of under the belt hood. First one not engaged, second one engaged. I unhooked the spring at the handle and it didn't seem to make any difference. 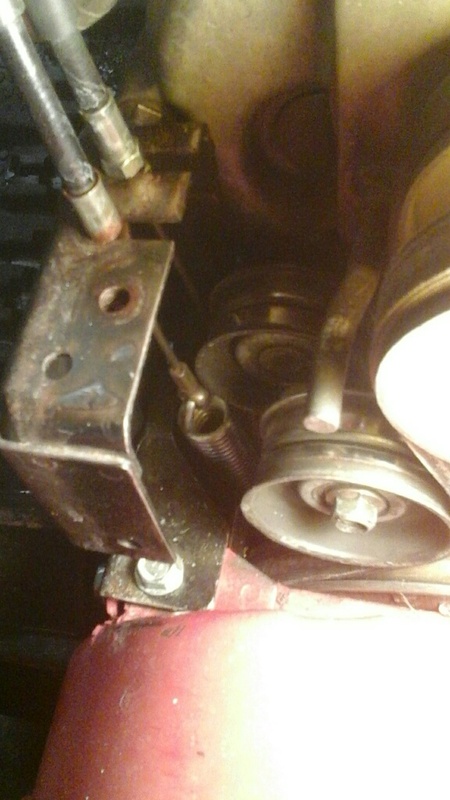 The bottom return springs at the tension rollers are what keeps the rollers away from the belts. It's been 6 years since I was in there. Got some cleaning up to do next summer. I will check these things. for some reason the head dealers mechanic routinely takes off that auger lever spring because he said it causes some kind of problem. anyway , this is a friends blower and it was working fine for the last month until a huge piece of ice jammed the impeller and i believe this caused the spring and belt to break. they are new to this blower and have a tendency to force things even though I tried to advise them to let the machine to do the work and clean the chute and augers after using. plus they leave it outside to the elements. I have a nagging suspicion that I am not doing something obvious or left out an important step in the process. I hope i do not have to take the box off again. I'll be back with an update. Is there anyway to get email notifications on a thread ? Is there anyway to get email notifications on a thread ? When you go to "go advance" you'll see that below "manage attachments" there is a "tread subscription" "notification type", there is where you can activate notification(s). Keep us posted on the outcome. Sure you'll get it done. got it done. something was holding up the auger brake arm . noticed when i put it on the box to loosen the 2 bottom bolts cause was gonna take box off again. loosened up the box bolts and the lever clicked into place and now the auger lever is taut again. just had to adjust cable a little. we are expecting another foot on wednesday and will be able to give it a good test. I'm 0 for 2 today. double triple checked all adjustments and everything seemed fine. ran it back and forth and watched belt. it did not seem loose at all. then put it at high speed to test it on snow . went 4 feet and the drive belt came off. very discouraging after all that work.